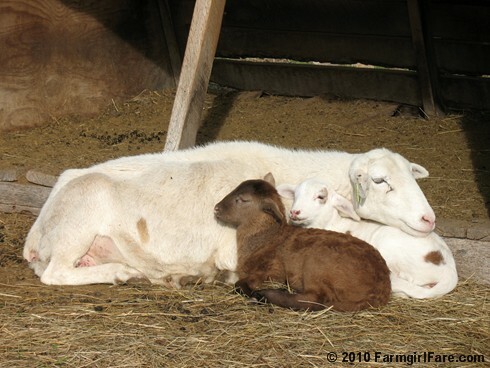 © Copyright 2010 FarmgirlFare.com, the gotta get your rest so you can grow up big and strong foodie farm blog where usually it's the lambs who use their moms as the World's Best Pillow (see here and here), but this year I've noticed that quite a few mama sheep have discovered that a very nice place to rest your tired head is directly on your kid. 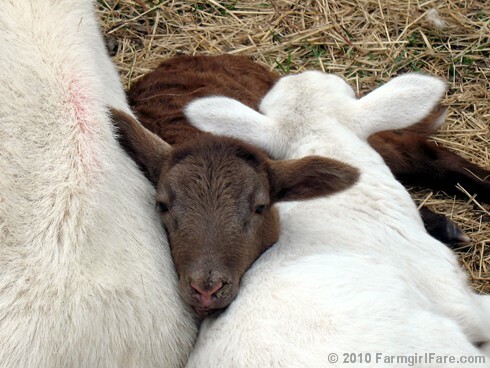 Love the sweet lambs. There is just something so kind and sweet in those faces. this might be my favorite post yet! hmmm....toss up between this and bear cleaning the lambs and bear and daisy flirting. oh dear, too much cute! How cute is that !!! Hi---I just discovered you (I'm kind of new to this blogging business),..and I love the country and have rescued dogs and cats and garden and cook... Anyway, I so enjoy the pictures and stories. That last picture is my favorite. 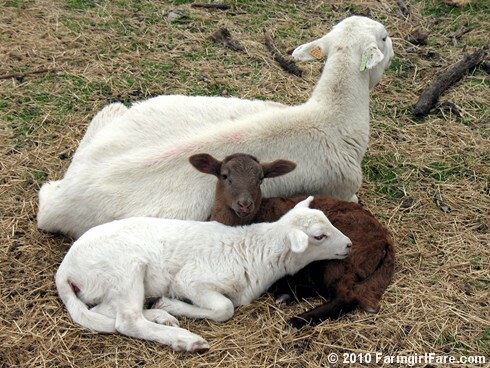 Best way to keep your babies close while you get some sleep is to use them for a pillow. Cute photos. 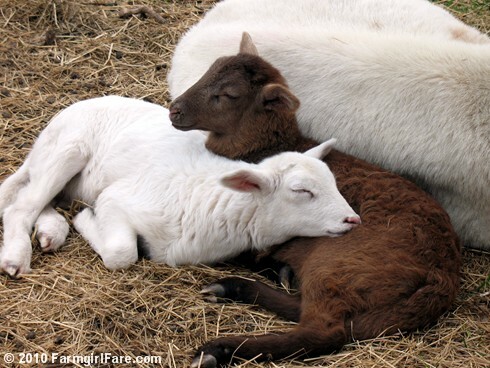 Hard to think about eating lamb when they are so cute. Then I think about being over run with adult rams. Yeah, no problem now to eat some. Dang your pics are adorable - you shoul make a button for us to place on our blogs to link with using one of those pics.